Nintendo has a lofty goal in mind for the fiscal year ending in March 2019. The company is targeting 20 million hardware units sold for Switch to go along with 100 million software units. During Nintendo’s 78th Annual General Meeting of Shareholders, the Big N was asked how the current situation compares to its estimates. Former president Tatsumi Kimishima spoke about this as well as the performance of Nintendo Labo. Our sales targets for Nintendo Switch hardware and software during this fiscal year will not be an easy challenge to meet, but we are putting all of our efforts into doing just that. If you look at our software lineup for the fiscal year that we showed at E3, you can see a relative trend that the titles that resonate most with consumers are concentrated toward the latter half. That is why I think the way Nintendo Switch hardware sells during this fiscal year will be slightly different from in the last. A simple comparison of hardware units sold during the first quarter of this fiscal year might not look as good as the units sold during this period in the prior fiscal year. However, this is something we expected, so this shift is well within expectations when looking at our software lineup for the entire fiscal year. And on the topic of Nintendo Labo, we are grateful for the tremendous response we have received from all kinds of places even prior to its launch. On the other hand, I see it as characteristically different from the titles we have released up until now and, therefore, the sales route and the flow until it reaches consumers also differs from other games. We anticipate that parents will purchase it for their children, for example, which potentially requires an opportunity to make a purchase like a birthday, Christmas or summer break. That is why we are currently focused on making sure that consumers fully understand the appeal of the product. What that means is the way we are selling Nintendo Labo is not like traditional games, where they sell well upon initial release and then sales numbers gradually decrease. 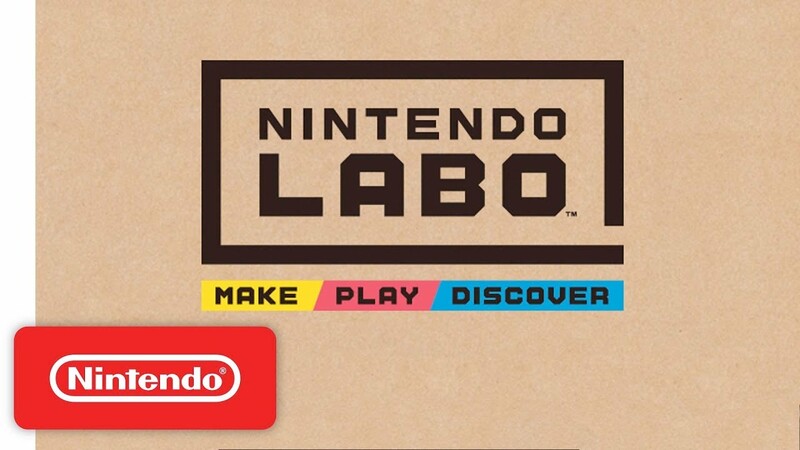 Instead, we hope Nintendo Labo becomes a topic of interest for all kinds of people, and when an increased number of people want it and a certain time comes to make purchases, they will all buy it. Furthermore, regarding sales channels, we do not necessarily think that the types of retailers who generally sell a lot of games are always the most well-suited for selling Nintendo Labo, which is something we are keenly aware of when working to promote the product.